A delivery charge will be added and prices are including VAT. The expected delivery time for all parcels is currently 3 to 5 working days. You will be sent a tracking email once your parcel has been dispatched. 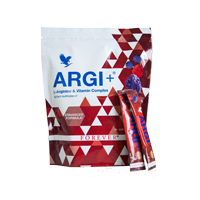 This delicious and nutritious berry-flavoured sports drink contains five grams of L-Arginine per serving plus vitamins, including vitamin C – which contributes to the reduction of tiredness and fatigue – and vitamin D – which contributes to the maintenance of normal muscle function. L-Arginine, acid (citric acid), maltodextrin, _avour, anti-caking agent (silicon dioxide), sweetener (xylitol), vitamin C (ascorbic acid), D-ribose, Grape Skin extract (Vitis vinifera L.), sweetener (sucralose), Pomegranate extract (Punica granatum L.), Red Grape extract (Vitis vinifera L.), Black Currant Juice powder (Ribes nigrum L.), Elderberry Juice powder (Sambucus nigra L.), Raspberry Juice powder (Rubus idaeus L.), Morello Cherry Juice powder, (Prunus cerasus L.), Blackberry Juice powder (Rubus fruticosus L.), Blueberry Juice powder (Vaccinium corymbosum L.), vitamin D3 (cholecalciferol), vitamin B6 (pyridoxine hydrochloride), sucrose, dextrose, mannitol, acidity regulator, (monopotassium phosphate), vitamin B12 (cyanocobalamin), vitamin B9 (folic acid), vitamin K2 (menaquinone). If you have a heart condition, are pregnant or taking other medication, consult your doctor before using this product. Copyright © 2019 Forever Living Products (UK), Ltd.. All rights reserved.